In these powerful words, spoken more than two hundred years ago, Patrick Henry embodied the resolve of the American colonists to guard civil and religious liberties. The innumerable victims of religious intolerance are registered in the books of heaven. Acquiring these liberties, the founding principles and strength of American society, required an incredible struggle! 1. How does the apostle John describe the beast he saw in vision? “I saw a beast rising up out of the sea, having seven heads and ten horns, and on his horns ten crowns, and on his heads a blasphemous name” (or “blasphemous names”: All the heads of these seven forms of government, though merely human, have accepted the adoration due to God alone; see John 10:33) (Reve­lation 13:1). This beast resembles the “dreadful beast” of Daniel 7 and the “great, fiery red dragon” of Revelation 12. Two of these beasts have seven heads; all three have ten horns. 2. How do we know that this beast is the same as the fourth beast of Daniel 7, which is Rome? “The beast which I saw was like a leopard, his feet were like the feet of a bear, and his mouth like the mouth of a lion. And the dragon gave him his power, his throne, and great authority” (Revelation 13:2). This beast is a composite of the leopard, the bear, and the lion–the first three beasts of Daniel 7. Rome actually absorbed the cultures of Greece, Medo-Persia, and Babylon (the empires symbolized by the first three beasts; see Lesson 8). The dragon, the symbol of pagan Rome, relinquished its seat to papal Rome. 3. What happened to one of the seven heads of this beast? “I saw one of his heads as if it had been mor­tally wounded” (Revelation 13:3). In Lesson 8 we identified the last of the seven forms of Rome’s government as the papacy. (Recall Lesson 19, question 4, for an explanation of the heads. The papacy was the last head.) This power was indeed wounded in 1798, when Pope Pius VI was arrested and died in captivity. The political power of the papacy was thought to be finished. 4. But did the prophecy indicate that the beast’s power had ended? 5. How does the prophecy describe the beast’s prosperity and power after its restoration? 6. What other characteristics help to identify this recovering head as the Roman power? 7. What does the number 666 represent? 8. How does John describe this beast? “Then I saw another beast coming up out of the earth” (verse 11). This beast and its characteristics are entirely new to our studies. Unlike the beasts that arose from the stormy sea (the masses of Europe), this beast arises from the earth (or a sparsely populated area of the world, America). 9. What contrasting characteristics does this beast have? “He had two horns like a lamb and spoke like a dragon” (verse 11). The lamb-like horns (symbolizing the civil and religious liberty guaranteed by the U.S. Constitution) and dragon voice point to a country that will display a striking contrast between profession and practice. 10. What nation arose far from populated Europe? About the time the first beast received its deadly wound, the United States was arising on the continent of America! 11. Nevertheless, how would this new nation ultimately employ its power and influence? “He exercises all the authority of the first beast…, and causes the earth and those who dwell in it to worship the first beast, whose deadly wound was healed” (verse 12). America will cause other nations to give allegiance to the first beast–papal Rome. 12. What will open the way in America for religious intolerance and persecution? “He performs great signs, so that he even makes fire come down from heaven…. And he deceives those who dwell on the earth by those signs,… telling those who dwell on the earth to make an image to the beast who was wounded by the sword and lived” (verses 13-14). People are awestruck by the supernatural. Sensational religion–apparitions, miraculous healing, speaking in tongues–has a hypnotic influence over the masses. (See Acts 8:9-10; Matthew 7:21-23.) Sensations will replace faith in God’s Word, allowing the churches to enforce their religious traditions on the people via the state, just as the medieval church enforced its dogmas in Europe. 13. How can the United States of America make an image to the beast? “He was granted power to give breath to the image…, that the image … should both speak and cause as many as would not worship the image … to be killed” (verse 15). An image is a lifeless copy. Early Americans first copied the medieval papal system by enacting laws requiring traditional Sunday keeping. But these laws were eventually ruled unconstitutional and have mostly lain dormant, or lifeless. (W.L. Johns, 1967, Dateline Sunday, U.S.A., Mountain View, CA: Pacific Press Publishing Assn., pp. 31, 67. G. Edward Reid, 1996, Sunday’s Coming! Fulton, MD: Omega Productions, p. 76.) Prompted by deteriorating conditions on all fronts, by mystical incidents and popular demand, the United States will give “life” to these laws by requiring the states to enforce the laws, ultimately on pain of death. Significantly, religious leaders have become increasingly involved in politics, while fearful citizens seem to be increasingly willing to sacrifice their liberty for security. 14. How does one worship the beast? What will happen to anyone who refuses to do so? “He causes all, both small and great, rich and poor, free and slave, to receive a mark on their right hand or on their foreheads, and that no one may buy or sell except one who has the mark or the name of the beast, or the number of his name” (verses 16-17). In the fourth century, Rome required people to honor the “venerable day of the sun,” forbidding observance of the seventh-day Sabbath (see Question 17). This change, contrary to God’s law, is Rome’s self-proclaimed sign of authority. Daniel 7:25. Sunday-keeping, then, is the mark of allegiance to the Roman Catholic Church. Refusal to venerate the mark will ultimately mean exclusion from the economic system. 15. What is meant by the mark on the right hand or on the forehead? Honoring Sunday for the right to “buy and sell” is symbolized by a “mark on the right hand.” Honoring it by choice is symbolized by a “mark on the forehead.” The mark is not visible; the day one observes is. 16. What will cause freedom-loving Protestant America to become intolerant? “Because they did not receive the love of the truth” they will “believe the lie” (2 Thessalonians 2:10-11). The increasing number of catastrophes in the U.S.–violence, a failing economy, natural disasters, terrorism–will be portrayed as the direct result of Sunday violation. 17. What is the fourth commandment? What issue will divide the world? “Remember the Sabbath day, to keep it holy…. The seventh day is the Sabbath of the Lord your God. In it you shall do no work…. For in six days the Lord made the heavens and the earth, the sea, and all that is in them, and rested the seventh day. Therefore the Lord blessed the Sabbath day and hallowed it” (Exodus 20:8-11). God hallowed the seventh day to remind us that, as our Creator and the Source of all good, He alone is entitled to worship and supreme loyalty. Everyone will be tested: Will we trust and obey God, or men? “And, behold, I come quickly; and My reward is with Me, to give every man according as his work shall be” (Revelation 22:12 KJV). What about … BEING READY FOR THE FINAL TEST? • How will each one of us manage when the final test comes? The threat of not being able “to buy or sell” is a formidable one. But God says to all who choose to be faithful to Him: “Fear not, for I have redeemed you; I have called you by your name; you are Mine. When you pass through the waters, I will be with you; and through the rivers, they shall not overflow you. When you walk through the fire, you shall not be burned, nor shall the flame scorch you” (Isaiah 43:1-2). Although there may be some men and women, and perhaps even children, who in the final conflict will be called upon to testify for their faith with their lives, they will be rewarded with eternal life. “Do not fear any of those things which you are about to suffer. Indeed, the devil is about to throw some of you into prison, that you may be tested, and you will have tribulation…. Be faithful until death, and I will give you the crown of life” (Revelation 2:10). 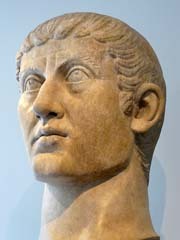 In the fourth century after Christ, the Roman emperor Constantine decided to unite his pagan and Christian subjects. He “converted” to Christianity but retained many pagan traditions. “The earliest recognition of the observance of Sunday as a legal obligation is a constitution of Constantine in 321 A.D. enacting that all courts of justice, inhabitants of towns, and workshops were to be at rest on Sunday (venerabili die Solis), with an exception in favor of those engaged in agricultural labor” (Encyclopedia Britannica, ninth edition, article “Sunday”). Protestant immigrants in the New World had ingrained in them a culture espousing the union of church and state and the admixture of pagan elements in their Christian faith. Thus it was natural for them to create the same types of laws that they were used to. Here is America’s first Sunday law, enacted in 1610 in Virginia: “Every man and woman shall repair in the morning to the divine service, and sermons preached upon the Sabbath day, and in the afternoon to divine service, and catechizing, upon pain for the first fault to lose their provision and the allowance for the whole week following; for the second, to lose the said allowance and also be whipped; and for the third to suffer death” (Peter Force, Tracts Relating to the Colonies in North America, Washington, 1844, vol. 3, no. 2, p. 10). In 1656, Connecticut state law required: “Whosoever shall profane the Lord’s day, or any part of it … proudly, presumptuously, and with a high hand … shall be put to death, that all others may fear and shun such provoking rebellious courses” (G. Edward Reid, Sunday’s Coming! p. 78). With keen insight, Roger Williams denounced forced church attendance as “the worst statute in the English code” and “as an open violation of their natural rights; to drag to public worship the irreligious and the unwilling, seemed only like requiring hypocrisy.… [Said he:] ‘No one should be bound to worship, or to maintain a worship, against his own consent’” (Bancroft, pt. 1, ch. 15, par. 2). Because of his belief, Williams had to flee the colonies. He found a refuge among the Indians. Later he established the state of Rhode Island and became “the first person in modern Christendom to establish civil government on the doctrine of liberty of conscience, the equality of opinion before law” (ibid., par. 16). This was the first government in modern times patterned according to the principle that “every man should have the liberty to worship God according to the light of his own conscience” (Martyn, vol. 5, p. 354). The state Williams created became an asylum for the oppressed, and his principles of civil and religious liberty became part of the American Constitution. 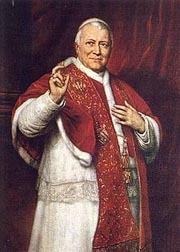 Pope Pius IX, in his August 15, 1854, encyclical letter, stated: “The absurd and erroneous doctrines or ravings in defense of liberty of conscience are a most pestilential error–a pest, of all others, most to be dreaded in a state.” In his December 8, 1864, encyclical letter, he cursed “those who assert the liberty of conscience and of religious worship” as well as “all such as maintain that the church may not employ force” (Josiah Strong, Our Country, ch. 5, pars. 2-4). When the pope speaks ex cathedra, his teaching is considered infallible. The maxim of the Catholic Church is semper eadem, “always the same.” Thus, this remains Catholic doctrine today. It is that organization’s purpose to regain the control it had during the Dark Ages–this time worldwide. “Where the Spirit of the Lord is, there is liberty” (2 Corinthians 3:17). Decisive messages (“Fear and worship God, our judge,” “Babylon is fallen!” and “Do not receive the mark of the beast!”) by three angels demand “Our Focus Now.” Lesson 22 ties them in with wrath and patience, tormenting smoke–and victory! a joint decision of the President and the U.N.
centuries-long struggles at the cost of millions of lives. is similar to the 'dreadful beast' of Daniel 7 and the 'great, fiery-red dragon' of Revelation 12.
is entirely new to our studies. Rome was attacked by the United States. The papacy lost its power and influence in Europe. Premier Mussolini gave the Vatican sovereignty. America gave the people civil and religious liberty. the papacy regained its influence and political power. the numerical equivalent of some titles carried by the pope. a computer that holds the identity of everybody in the world. the gold in California and America’s superior technology. the U.S. Constitution’s guarantee of civil and religious liberty. 7. What will prepare America for religious intolerance? 8. What will indicate that a person has received the mark of the beast? Hallowing Sunday, the mark of Rome’s authority. Allowing a microchip to be implanted in one’s forehead or hand. 9. How can we be protected from deception? By loving and living Bible truth, no matter what the cost.